The Milano Oak pool dining table features a wooden base reinforced by a metal structure. This ensures that the playing surface remains level and rigid during game play. The Milano weighs in at around 120kg, allowing the table to be light enough to be transported, yet sturdy enough to remain stable during game play. What's more the height of the table ensures that it is perfect for dining. The table boasts a unique SLA-TEC playing surface that is designed to remain rigid and sturdy, therefore providing a perfectly flat surface. Additionally professional rubber cushions have been attached to the top rails, which provide excellent ball bounce and response during games. The Milano is provided with the option of matching benches to finish off its contemporary look. A stylish table that even features American style bucket pockets. The Milano is delivered and installed by our dedicated fitting team who have years of experience - please note that this is to a ground floor location as standard. Ideal for after dinner games. I would have liked a larger table but my space was limited. Purchased this due to the weight. much lighter than slate bed tables. I would like them to do this as an english pool table. 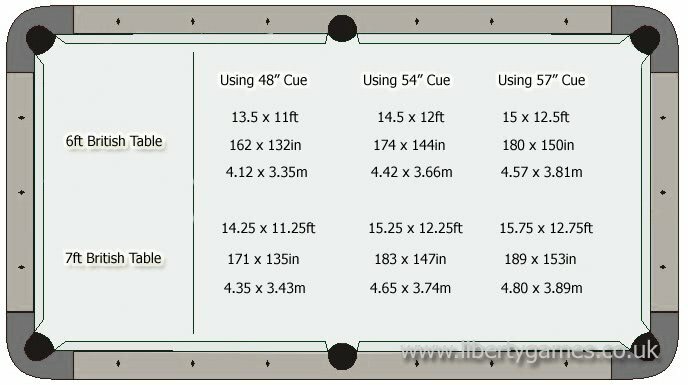 The 6ft table playing area is quite small and with the larger American balls and pockets it makes the actual paying field quite small.....however don't let this put you off. You can still have great games on a top quality surface. Tables usually take 3 weeks. Once the table is ready it will be collected by our courier and delivered to the customer within the following 5 to 10 working days.